Formerly known as "Adoration," City Praise is an annual opportunity for the citywide Body of Christ to worship God, and intercede for our city and region. City Praise is a taste of "heaven on earth," as we invite ethnic expressions in song, Scripture, testimony and prayer. A local leader brings a brief exposition of God's Word. City Praise is a wonderful "entry ramp" to join with fellow saints worshiping our triune Lord and releasing His favor and blessing into our community. 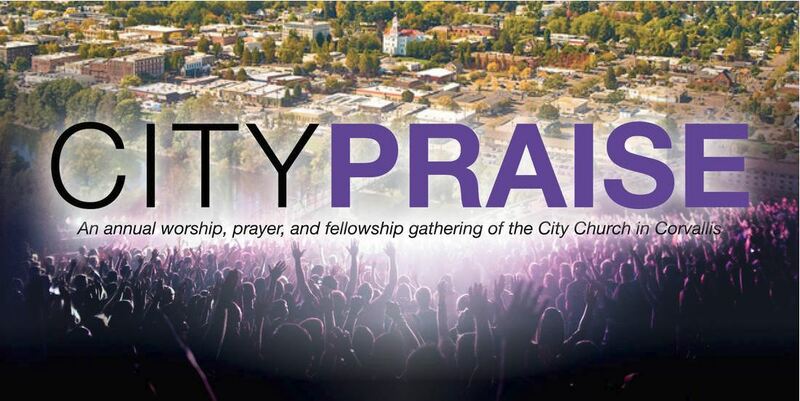 City Praise 2019 is moving to Palm Sunday evening (April 14th, 6pm) at Life Community Church. Area churches are also preparing their hearts by spending 40 Days (season known as Lent) praying through a prayer guide called "Seek God for the City." Individual copies of the prayer guide can be ordered at https://waymakers.org/pray/seek-god/ or download the "Seek God for the City" mobile app for Apple or Android. Contact Russ Richmond (russ@fbccorvallis.org) for questions or more info.